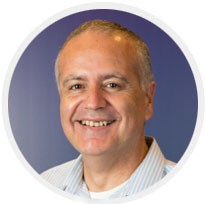 Eli Yaffe, has joined Eltek as CEO from July 2018. Prior to joining Eltek Eli served as the CEO of Carmel Forge Ltd. (Aerospace), and prior thereto he served as the CEO of Urdan Industries Ltd. (Defense). 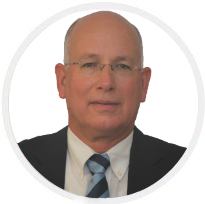 In previous roles, Mr. Yaffe served as VP of Business Development & Strategic Planning, responsible for strategy, M&A, and business development at Ormat Industries Ltd., including a number of years in the U.S. Mr. Yaffe holds a B.Sc. degree (with distinction) from the Technion- Israel Institute of Technology, M.Sc. degree in Mechanical Engineering from Tel Aviv University and an MBA degree (with distinction) in Finance & Marketing from Bar Ilan University. Alon Mualem joined Eltek in January 2019. Previously, Alon served as the CFO of Mer Telemanagement Solutions Ltd., a company traded on NASDAQ, from 2007 to 2018. Prior thereto, between 2005 and 2007, Mr. Mualem served as the CFO of Xfone Inc. and Xfone 018 Ltd., a communications company dually listed in the US (AMEX) and Israel (TASE). In previous roles, Mr. Mualem served as a controller and CFO of hi-tech companies, including establishing finance organization, financial support for the growing business and an IPO of a Rad-Bynet company, as an Audit Manager at Somekh-Chaikin – KPMG. Mr. Mualem holds a B.A. degree in Accounting and Economics from Tel Aviv University, and is a licensed CPA (Israel). 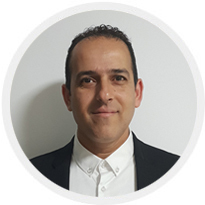 Assi Bachar joined Eltek as Information Technology Officer and Procurement Officer in October 2018. Prior to joining Eltek, Mr. Bachar worked at Comtal Group as a CIO from 2010 to 2018 and at Trans innovation group as a CIO from 2001 to 2010. From 1993 to 2001 Mr. Bachar worked at Eltek in various positions. 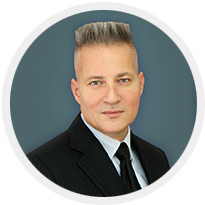 Mr. Bachar holds a BA degree in economics from Bar Ilan University and an Executive MBA degree in Finance & Marketing from Bradford University. 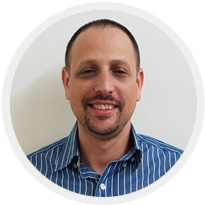 Itzik Zemach joined Eltek in September 2018 as operations manager. 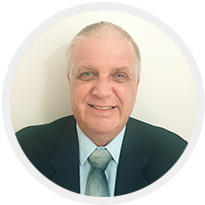 Prior to joining Eltek Mr. Zemach served as the Plant Manager leading the Assembly factory of the “Kahane Group” (designing and producing electromechanical panels) for 6 years, responsible for all the supply-chain processes . Between 2010 and 2012 Mr. Zemach served as VP operations of “Bental electronics systems”. Between 2006 and 2010 Mr. Zemach was the Plant Manager of “Aladdin Knowledge Systems” and prior to that Mr. Zemach served as the Production Manager of “Nistec Group” for three years..
Mr. Zemach holds a B.Sc. degree in Electronic Engineering from Ariel University and an MBA degree with distinction in IT from Bar Ilan University. and prior thereto he was a factory technologist in Elbit System’s printed circuits boards department. In previous roles, Mr. Riff was a printed circuits boards technologist for Melta Printed Circuits Boards and was a senior process engineer for Tower Semiconductors. Mr. Riff holds a B.Sc. degree in chemical engineering from the Technion – Israel Institute of Technology and an MBA degree from the Openu university of Israel.